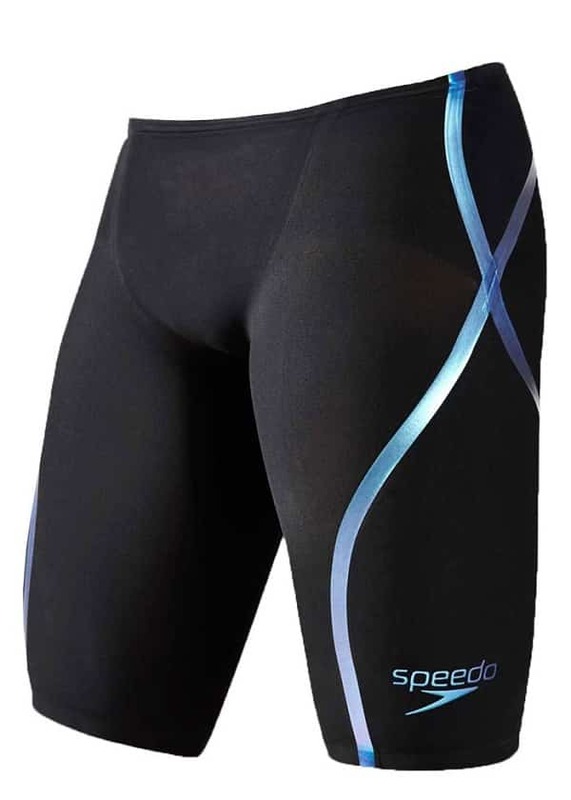 The Speedo LZR Racer X is the most popular jammer for competitive swimmers. Here’s what you need to know about the Speedo LZR Racer X jammer. Speedo has long been the dominant player in the competitive swimwear industry. Their name is so ubiquitous, in fact, that to the layman a swimming brief is simply known as a Speedo. 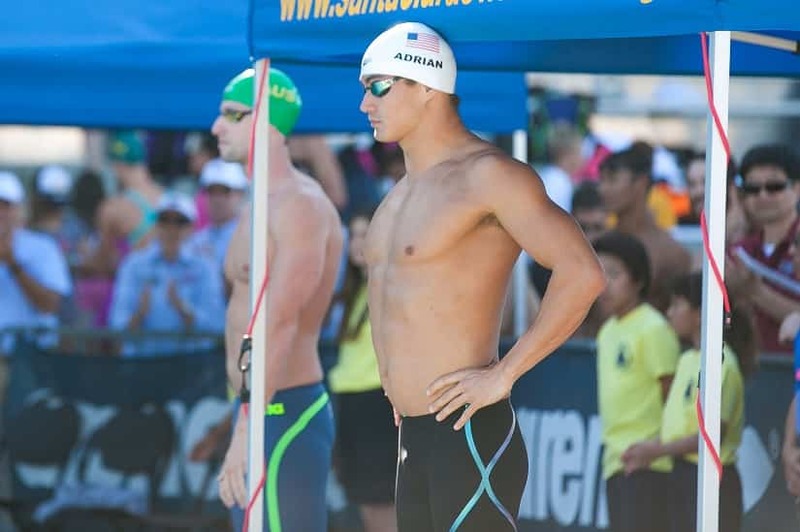 The Speedo LZR Racer X jammer is their most elite swimsuit, and has been worn by some of the top swimmers on the planet, including Nathan Adrian, Ryan Murphy, Cam McEvoy, Cullen Jones, and more. 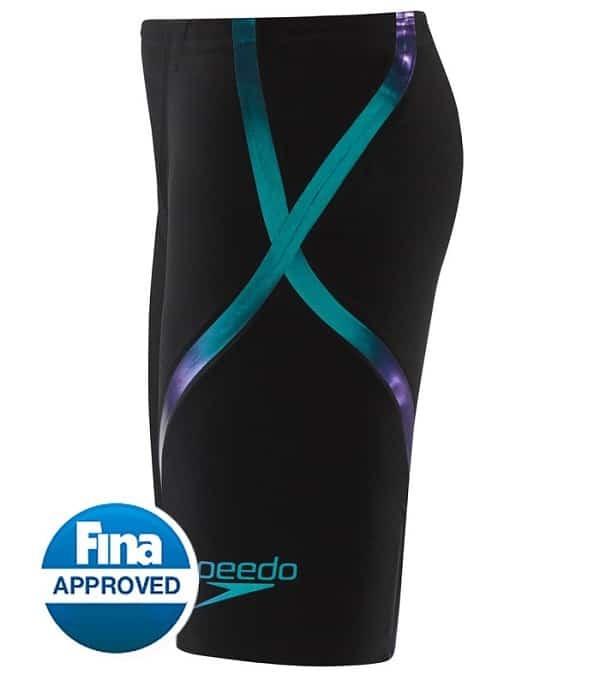 Shop the Speedo LZR Racer X Jammer at Amazon.com. 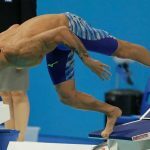 During the late 2000’s there was a record-breaking spree so epic in the sport that FINA, the world governing body for swimming, had to crack down on the types of suits that were being worn. 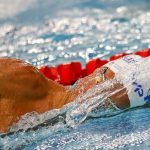 In one particularly hilarious example, Paul Biedermann of Germany dropped 4 seconds in the 200m freestyle to smash the world record in less than one year. 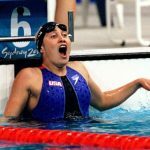 At the end of 2009 FINA started regulating what kind of materials swimmers could use in competition, and also what type of cut the suits had to be. Gone were the full body-polyurethane “rubber suits” that saw nearly 50 world records go down at the 2009 FINA World Championships. Around the time that the rubber suits were being banned, the scientists and developers at Speedo were brainstorming ways to get swimmers to go faster within the new rules. At their research facility, aptly called Aqualab, they toyed around with various designs and materials. After a few years, including testing on over 300 elite-level swimmers, and tens of thousands of hours of testing, the team of nearly 20 researchers came up with the Fastskin-3, the highest end of Speedo’s tech suits. 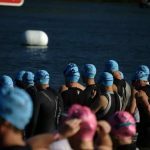 The suit, according to Speedo, reduces resistance by 16.6% when swimmers are in a streamline (hello, faster walls and breakouts! ), and even helps improve oxygen economy of the swimmer by over 10 percent. The LZR Racer X, the offspring of the Fastskin-3, builds upon the research and design work to create the fastest Speedo suit to date. One way stretching. When we think of swimsuits, we tend to think of them being flexible in all directions. With the LZR Racer X jammer, it only stretches vertically. 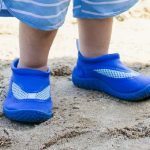 Because it doesn’t stretch horizontally, it provides compression and helps to keep the swimmer in a slim profile in the water. Not the easiest to put on. 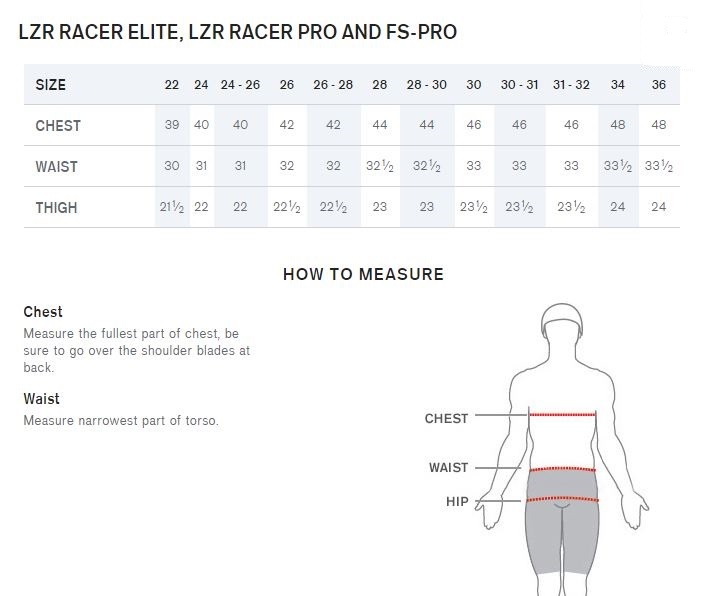 While you will want to double check the sizing chart (and try it on before purchasing, where possible—or at least make sure you can return for a different size if the fit is off), I’ve found that with this jammer you will go shockingly below your normal training suit size. This suit, while hard to put on, actually feels more relaxed once you have it on. The challenge, obviously, becomes in putting it on without gassing yourself out before the big race. Wash with cold water. You’ve made the decision to plunk down some serious coin for a serious suit, now it’s time to take serious care of this bad boy. Because one of the main fabrics this suit is made with is Lycra spandex, you will want to rinse it out with cold water after each use. Chlorine and other solvents will damage the material, so rinse them out in the shower (but not with shampoo or soap), or in the sink once you are done for the session. Use the silicone straps at the bottom of the suit to “tug” it on. As I mentioned, sliding into this suit can be a bit of a production. Resist the urge to pull and tug on the fabric of the suit, and instead roll out the bottom of the suit, which has some rubber grips which you can use to pull the suit on. No sense ripping a hole in that $300+ suit because you didn’t trim your fingernails that week. They are FINA-approved. Should go without saying, but these suits are legal to race in. 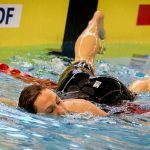 Jammer Reviews: The Top 5 Jammers for Fast Swimming. 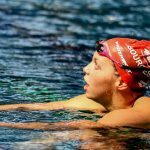 We breakdown the best of the best when it comes to jammers for competitive swimmers. 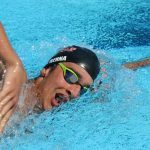 Swim Gear Review: The Arena Carbon Pro Jammer. Looking for a jammer that will power your sprint performances? 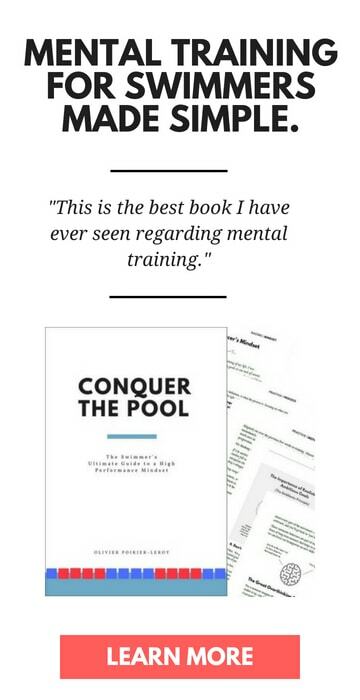 Learn how the Pro is the suit for you.